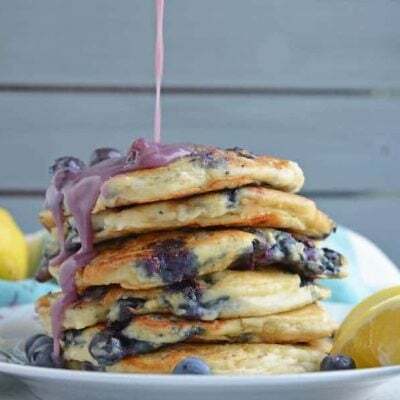 This recipe initially appeared on Real Housemoms, where I am a contributor. There are two types of people: flour tortilla people and corn tortilla people. Which are you? 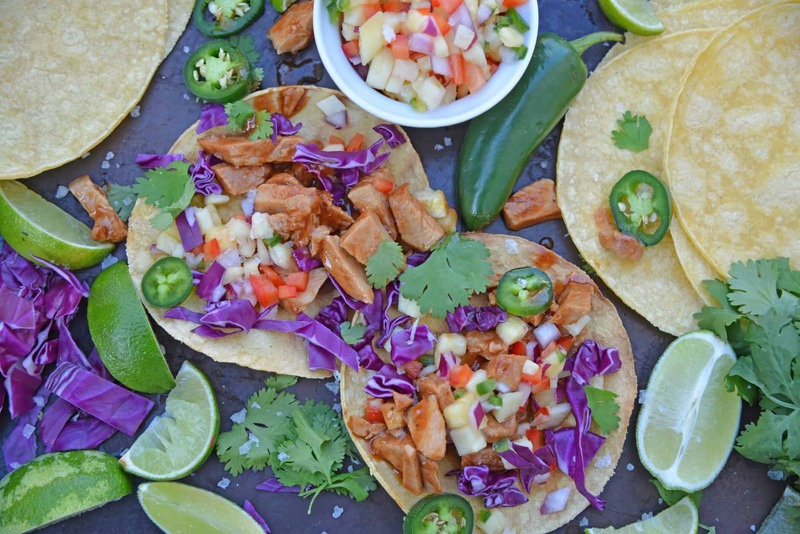 BBQ Pork Tacos are a colorful and easy weeknight dinner. Zesty BBQ sauce paired with sweet and spicy pineapple salsa and crunchy red cabbage. When pork loin goes on sale, I buy a whole bunch. 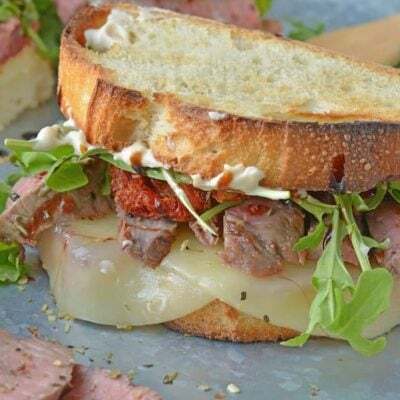 It is one of the cuts of meat that doesn’t break the bank and is grossly underutilized. 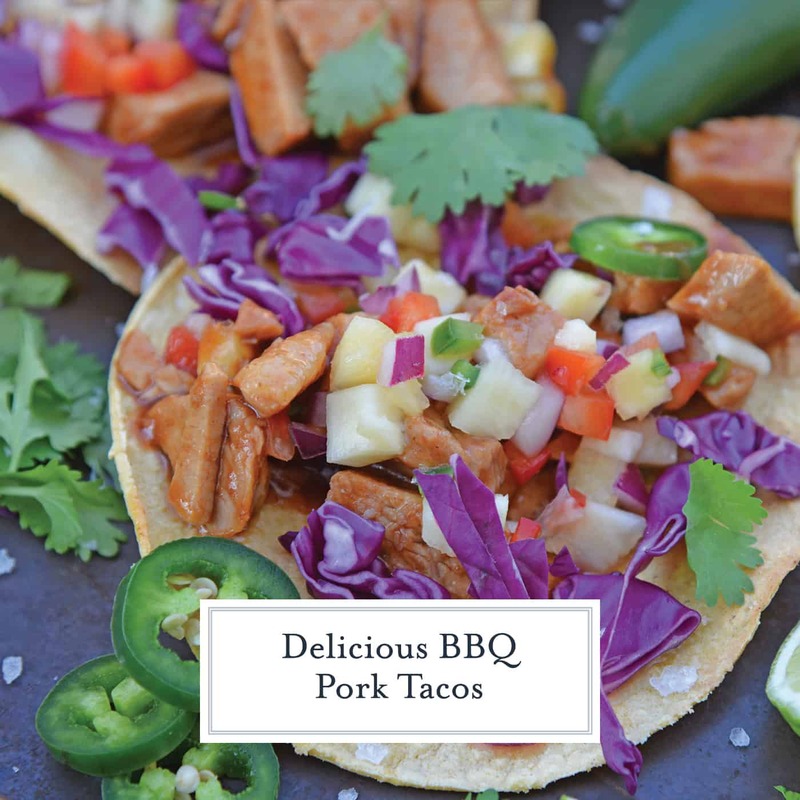 And one of our favorites recipes to make with it are pork tacos! When most folks think of a pork loin recipe, they associate needing to prepare and serve it as a roast, instead of chopping it up. 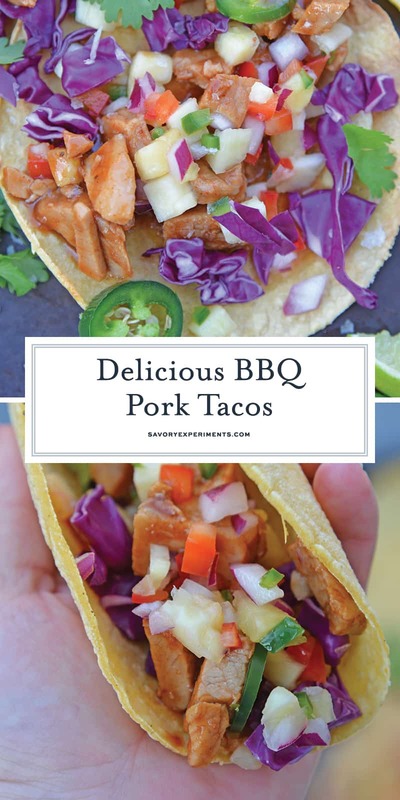 BBQ Pork Tacos use a pork loin, baked to perfection and then chopped and tossed with BBQ sauce. 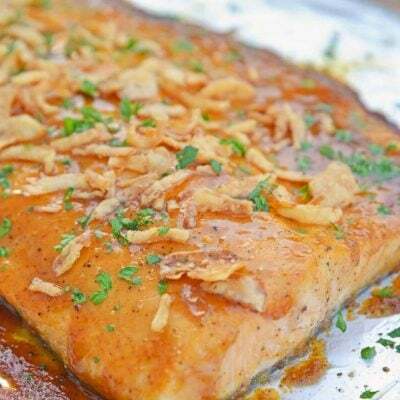 Pork loin cooks into just 25-35 minutes so it is perfect for a quick dinner recipe. 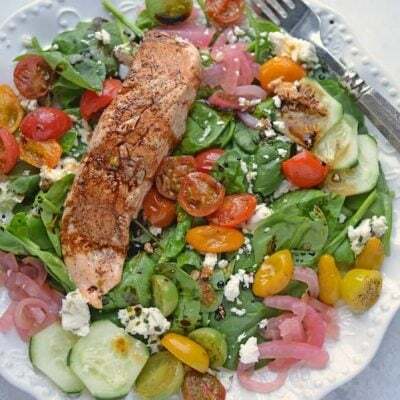 The cook time is going to vary greatly since the size of your pork loin can also vary greatly. Make sure your pork reaches an internal temperature of 145 degrees before serving. People tend to overcook pork, making it chewy and tough. Don’t be one of these people and make sure to use a meat thermometer (link below). 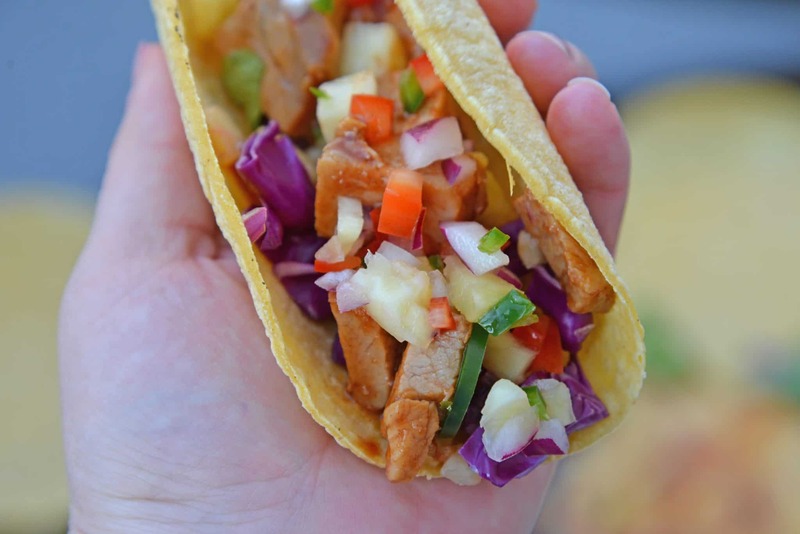 While the pork cooks, take time to get the rest of the ingredients for your delicious BBQ Pork Tacos ready. Although a time saver to buy shredded, I highly recommend buying a whole head of red cabbage and chopping it yourself. 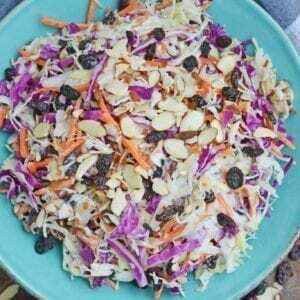 It saves money, is much fresher and can be tossed into other salads. You never know how long that bag has ben sitting there. Pineapple salsa takes juicy pineapple with spicy jalapeno, red onion and bell pepper tossed in lime juice. It is fresh and tasty, compliments BBQ sauce perfectly. 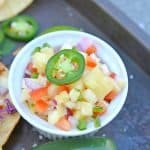 Pineapple salsa can also be used in many other recipes like on top of a salad or grilled chicken and shrimp. 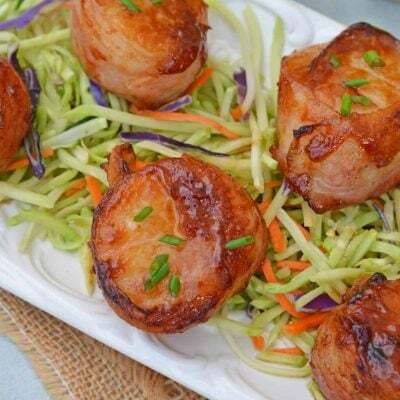 Use your favorite BBQ sauce to dress the pork. Like sweet? Go for it! Want some extra heat? Make face sweat, we support you. 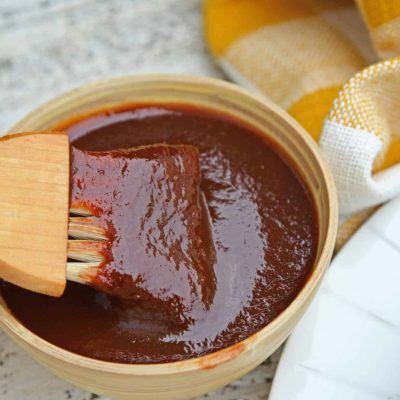 There is no wrong answer when it comes to the flavor of BBQ sauce you use. And while my recipe calls for a pork tenderloin to be baked and chopped, you can easily adapt this recipe to a slow cooker by tossing the pork ingredients into the slow cooker and setting on low for 4 hours. At this point you can either shredded the pork with two forks or still chop it up as the original recipes calls for. Craving more taco recipes for Taco Tuesday? – the perfect way to get and keep your tortillas at the perfect temperture. Preheat oven to 400 degrees. Coat a baking dish with cooking spray. 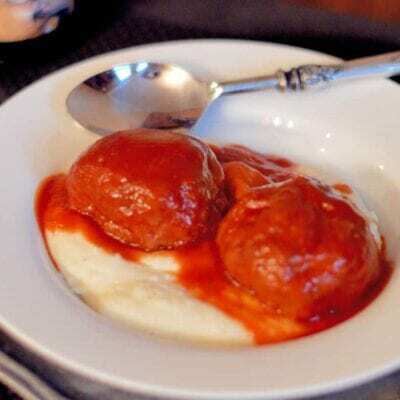 In a small bowl, combine chili powder, garlic powder, sugar and Kosher salt in a small bowl. Pat pork loin dry with a paper towel and crust with spice mixture. Bake for 25-35 minutes or until pork reaches an internal temperature of 145 degrees. 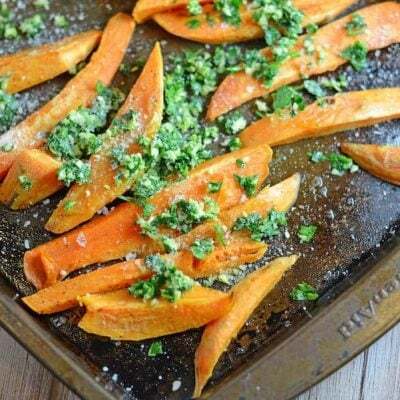 Remove to a cutting board and allow to rest for 5 minutes before chopping into bite-size pieces. Transfers to a mixing bowl and toss with BBQ sauce. Wrap corn tortillas in aluminum foil and place in hot oven for 5 minutes. 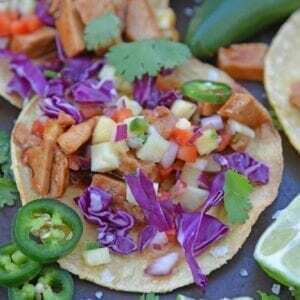 Assemble tacos by dividing BBQ pork, red cabbage and pineapple salsa in each corn tortilla. Garnish with fresh jalapenos, cilantro, Maldon sea salt and lime wedges, if desired. 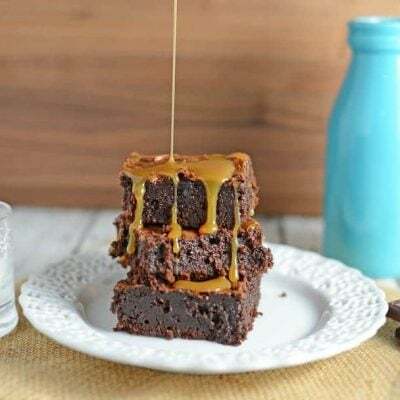 If you made this recipe, make sure to come back and let us know how you liked it and if you made any changes. We love comments! These tacos look so ADdicting! These would be such a huge hit at my house! I love pork taco and cabbage in them sounds terrific I would devour these any time of the week or day! You’re absolutely right about pork tenderloin. It’s such a versatile cut of meat, and for some reason, it’s not widely used. My family loves it for bbq’ing, and I am going to put these tacos on the menu for next week. Looks great! Such pretty tacos!! 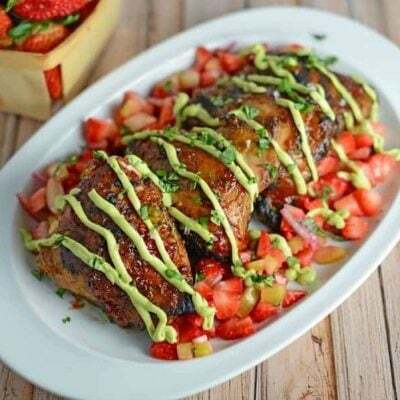 Pork is one ofm y absolute favorites, and I love it in MExican food! 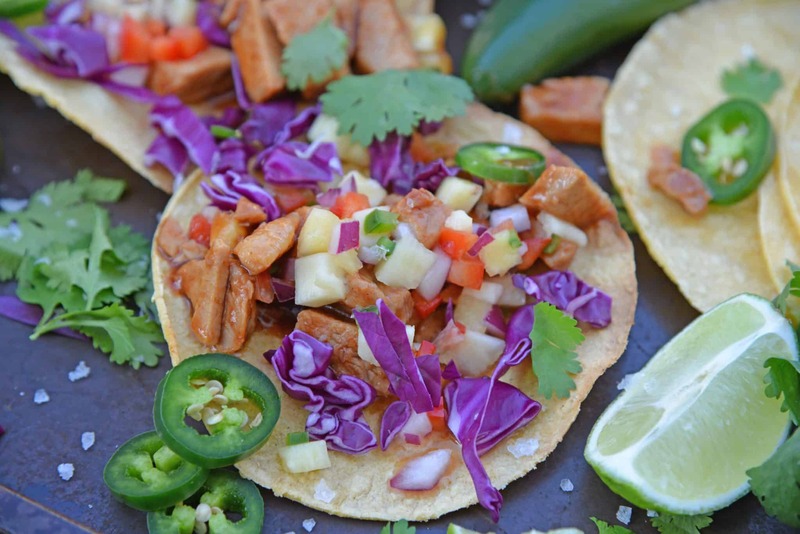 I love this combination of bbq pork and sweet pineapple salsa – so good, especially with the added crunch from the cabbage – yum!